extra headroom and all round good views. Mokka X exhibits extra traction with its intuitive four-wheel drive system providing better stability, grip and handling. Wherever you drive it stays securely on line, getting you there safe and sound. Mokka X is the right choice for town or country. On the road or off-road it has an impressive performance capability and has the looks to match. Smart alloy wheels come as standard with a choice of 17, 18 or 19 inch wheels to suit your style. Enjoy the countryside views and the warmth of the Sun through the optional sunroof with its power-tilt and sliding glass. Interior space is so important especially on long journeys. Mokka X has lots of leg room and the high-mounted seats provide a comfortable seating experience. Seat specialists AGR designed our front seats with adjustable seat cushions and lumbar support to ensure you have comfort whatever the length of the journey. Having a large boot space is often necessary when packing up to go on holiday or fetching the DIY purchase. Mokka X offers a huge boot space that can be extended through the 60/40 split rear seat design. Mokka X has a great range of petrol or diesel engines. The 1.6CDTi ecoTECsaves you fuel (and money). What about the feisty 1.4i Turbo putting our 140PS power. Save money with the1.6CDTi start/stop ecoTEC diesel engine that boasts up to 72.4mpg. Also good for the environment, with emissions that start at just 103kg/km of CO2. Road conditions are subject to sudden change as your journey progresses Mokka X keeps you in control. The optional four-wheel drive technology automatically optimises your road grip. Do you find night driving stressful? The Adaptive Forward Lighting LED on the Mokka X is designed to illuminate the road and its smart headlights adjust around bends, while reducing dazzle for other drivers. Parking can be difficult but the optional rear-view camera provides a clear view of the area behind you. Parking sensors warn you of close objects to the rear of the car. Local radio, your own playlist? Whatever your musical taste with the IntelliLink system, simply project your phone apps onto the touchscreen so you can select music, make calls or send texts. Broadband makes life easier.  So why not use OnStar* to create your own Wi-Fi hotspot onboard? Start with our free data trial for 3 months or 3GB (whichever comes first). *All OnStar services and Wi-Fi services will cease to be available on December 31st, 2020.